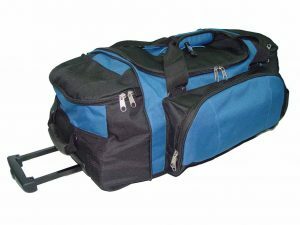 Trolley bags can also be termed a s “Duffle Trolley Bags” or “Travelling Trolley Bags”. Wheels can make things easy, this sentence very much relates to this product category. The pain to carry heavily filled bags and to move them from here to there is no more a pain. Our strong, impeccable and highly durable set of wheels can spin you with ease. 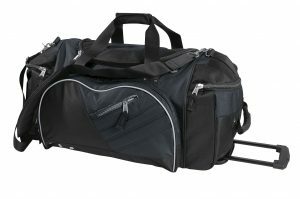 As the use is out door, Trolley Bags are made of thick, resistant double layered fabric and anti frying interline fabric that adds up a charm to the entire product both in and out. The handle of trolley bags is strongly stitched by high grade nylon thread to strengthen its life, as the style of lifting the bag varies from person to person. Customisation on the bag is also done at our unit. 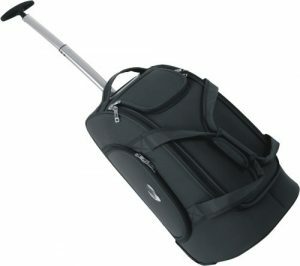 Opt “Plume Trolley Bags” and stay relaxed.